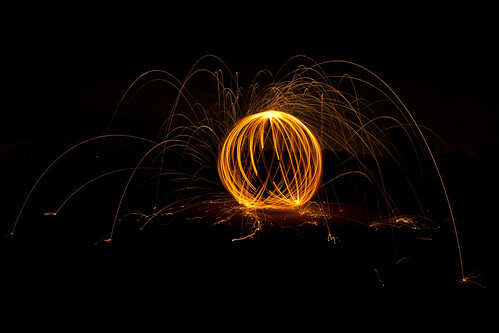 Through the magic of the "Internet," I learned of a cool way to capture fire and sparks using steel wool and some wire. Not knowing how it works, we decided to play it safe and try it in an empty parking lot out at Bong State Recreation Area. We had a fire extinguisher at the ready, and waited for darkness. The tutorial I've seen online basically have you tying thin steel cable to a piece of steel wool. I figured that there had to be a better way, so I cam up with the chicken wire basket. There is a pouch at the end of my cable, made from chicken wire, that will hold the steel wool while it's burning. To make my steel wool rig, I ventured down to Home Depot, purchased about 12 feet of 1/16" steel cable, and a few fittings to create loops at the end of the cable. 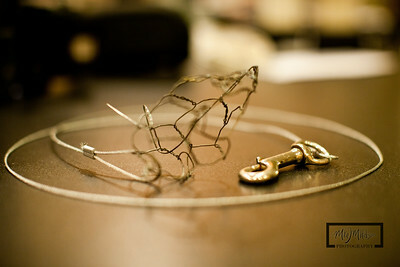 The buckle is off an old Dog leash that Max or Dora chewed up, and the chicken wire was also at home. Caution: Please take extreme caution when lighting anything on fire, and ensure you have the proper tools to prevent fire from spreading. Better yet, don't try this at all. My friend Mac and I went out to the most deserted place we could think of, which might also be the safest. We also didn't want to attract too much attention. 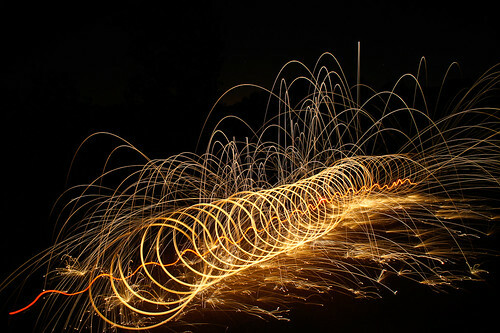 The faster you spin the wire, the hotter the steel wool burns, and you get more sparks. If you graze it agains the ground during each rotation, you get sparks bouncing off the pavement. 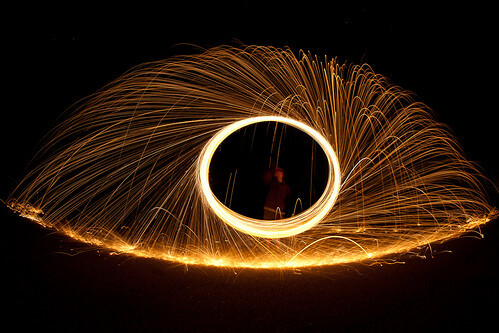 By moving your feet, and reducing the arc of the steel wool as you're spinning it, you can make a tunnel effect. 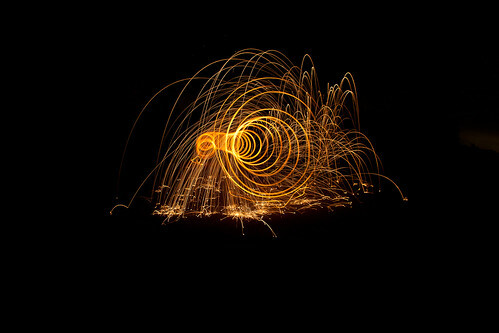 Combination of steel wool and a red LED flashlight, and the camera was mounted on the top of a long pole. 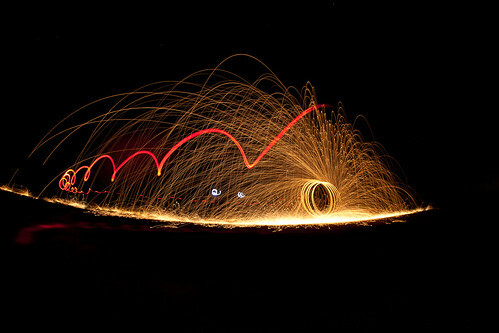 For additional images from the Steel Wool session at Bong State Park, click here. I was searching online for a panoramic head, and came across a new product called Panosaurus. I had been on the verge of purchasing the Nodal Ninja a number of times, but just couldn't justify spending that type of money. I already have the Automate from Gadgetworks, but wanted something that I could use indoors in addition to shooting landscapes. I was pleasantly surprised to find that the Panosaurus was listed under $100, and it looked good. I was even more pleased when it arrived a few days later, and seeing how beefy and sturdy it is. Assembly was easy, and it comes with a built in screw driver for adjustments, which is also magnetic and stays put on the unit. It does not come with instructions, but the PDF is listed online. 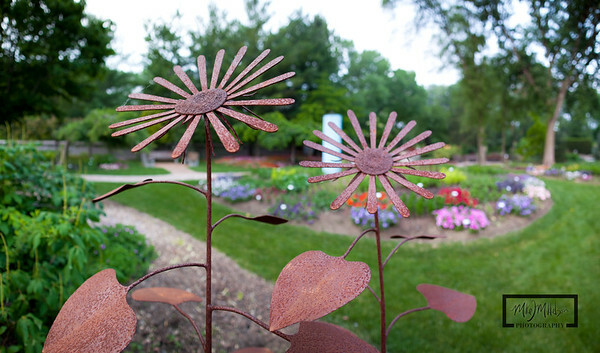 I was a guest at a wedding yesterday in Janesville, Wisconsin at the Rotary Gardens. Luckily, the gates close, but the wedding still had access to the grounds. I snuck out after the dinner to test out Panosaurus with a 24mm lens. I used Adobe Photoshop CS5 to merge the photos into a panoramic, and Lightroom3.0 to tweak the images. I took 7 groups of ~12 images, to create 7 different panoramics. I was able to get in these 7 different locations and quickly set up and finish in less than 30 minutes. 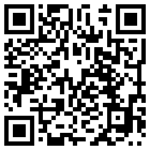 Click on image to view gallery and full size. As soon as I got Panosaurus, I told a friend of mine who is a photographer to order one. He did, and was also happy with the sturdiness of the panoramic head. I hope to use it indoors as well with Real Estate photography, and it will be easy to create virtual tours using this device.